Born from a need of new cleaner, greener and safer fuel the FireDragon Green and Clean Solid Fuel does exactly what it says on tin. Inspired by UK soliders and their need to react quickly in combat situations, the Green and Clean Solid Fuel is easy to light, safe to carry, and can be used in confined spaces. It can be used to light fires, cook food and boil water in all weather conditions. 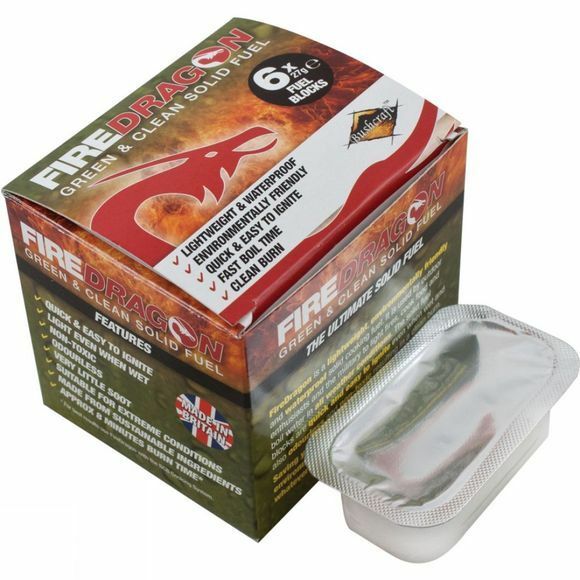 Being time efficient as well as environmentally friendly, FireDragon is the perfect partner whatever your outdoor pursuits.